Product categories of Surgical Instrument, we are specialized manufacturers from China, Surgical Instrument, Medical Surgical Instrument suppliers/factory, wholesale high-quality products of Gynecology Surgical Instrument R & D and manufacturing, we have the perfect after-sales service and technical support. Look forward to your cooperation! 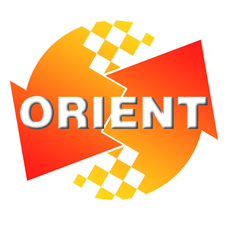 ORIENTMED's surgital instruments was widely sold in Europ, USA, Kazakhstan, Turkey, Australia, and Chile. Welcome other countries clients come to learn us. The main surgical instruments are Surgical Blade, Skin Graft Blade, Surgical Scalpel, Surgical Suture, Anesthesia Kits, Surgical stapler and so on. The Band Aid was widely sold to USA, especially in Amazon. Many differnet people come to visit us and purchase thos products. The Hot Relief Patch, Wound Plaster, Ostomy Bag, and Bandage is our special contents in our first aid kits. Many clients chose us.